A government volunteer initiative is encouraging young people to share Taiwan’s spirit of compassion overseas. When Wu Sheng-kai (吳聖凱) was a teenager, he was in and out of trouble with the police for getting into fights and engaging in petty misdemeanors. Today, this former bad boy gets his kicks from helping rather than hurting people. The 24-year-old plays bass in a rock band and inspires other youngsters who have lost their way in life through his music and by sharing his story. His five-man outfit, called The Big Change Band in reference to how its members have transformed their lives for the better, is also taking its message of hope abroad thanks to the government-funded Youth Overseas Peace Corps (YOPC). The initiative, implemented by the Youth Development Administration (YDA) under the Ministry of Education (MOE), was launched in 2016 to inspire people in Taiwan between the ages of 18 and 35 to undertake volunteer work abroad and broaden their outlook through international travel. Other goals include expanding Taiwan’s global outreach and forging greater people-to-people ties with other nations. Unlike the U.S. Peace Corps, which assigns applicants to projects, in Taiwan candidates need to come up with proposals. Wu’s band applied for YOPC funding to stage live shows and talks at shelters for disadvantaged youngsters in Malaysia. Its request was accepted and in August 2018 the musicians toured Kuala Lumpur and nearby towns for 12 days. “It was really rewarding when we saw how attentively people were listening to us,” Wu said. They plan to return again this year after being invited to perform in Penang and other locations in the north of the country. To qualify for YOPC sponsorship, individual or group applicants must show their project is feasible, will meet the needs of the aid recipient and can help Taiwan’s broader efforts to contribute to the global community. The administration in particular is looking for proposals that will further the U.N. Sustainable Development Goals (SDG), said Klaus Ding (丁元亨), co-founder and executive director of Vision Youth Action, a Taipei City-based nongovernmental organization that helps individuals find volunteer opportunities around the world and acts as an adviser to the YDA program. Adopted by the U.N. General Assembly in 2015, the 17 SDGs are intended to end poverty, protect the environment and secure peace and prosperity around the world. According to the YDA, it sponsored around 1,000 people in 2018, mostly university students and clubs, to undertake voluntary work in 22 countries, predominantly in South and Southeast Asia. Projects lasted from a week to several months and focused on a slew of areas ranging from education to health care. Grants of up to NT$400,000 (US$12,990) are offered to groups numbering at least three planning to volunteer for a minimum of seven days overseas. Individual applicants can apply for a maximum of NT$180,000 (US$5,845) to support projects lasting three months or more. Outside of the youth volunteer initiative, the nation’s foremost foreign aid organization, Taipei-based International Cooperation and Development Fund (TaiwanICDF), has enacted programs across the Asia-Pacific, Africa, Latin America and the Caribbean in areas spanning clean energy, education, food safety, health care and sustainable agriculture. In addition, at least 48 NGOs in Taiwan send youths abroad to do volunteer work on a regular basis, according to the YDA. While members of The Big Change Band took their stories and music to inspire troubled youngsters in Malaysia, a group of students and graduates from Taipei Medical University (TMU) used their professional skills to help kids in diplomatic ally Kingdom of Eswatini. 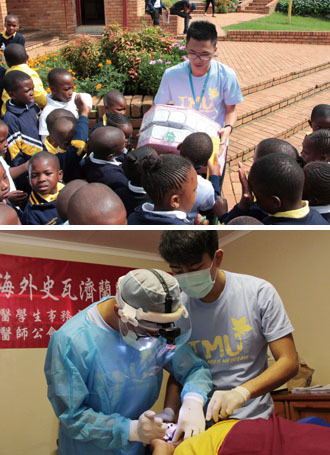 For the past two years, Feng Hsing Medical Service Team has been the recipient of a YOPC grant to conduct volunteer work in the southern African country. University student Chou Zih-syuan’s (周子玄) YOPC experience was especially demanding as he needed to learn a new set of skills unrelated to his life in Taiwan. 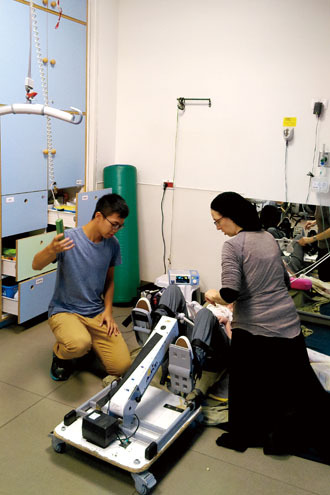 He traveled to Israel last year on a grant to assist ALEH, an organization that provides medical, educational and rehabilitative care to children with developmental and other disabilities. 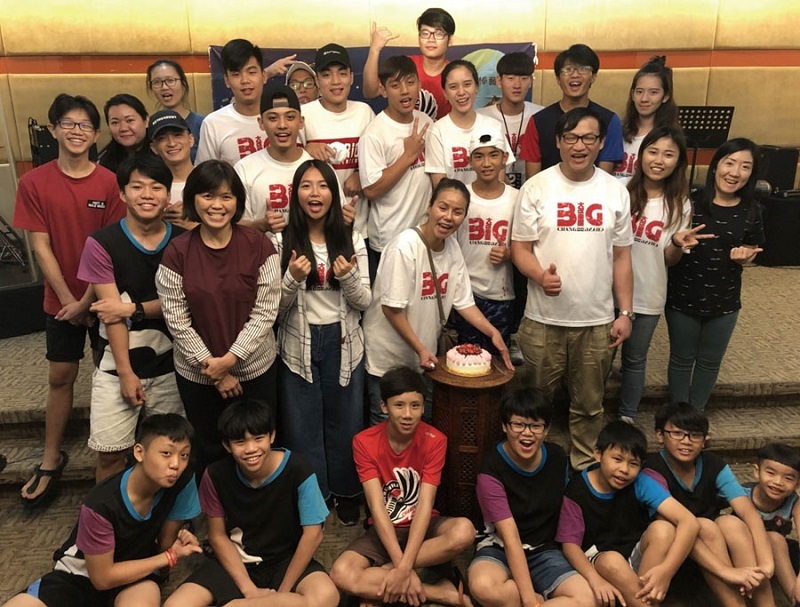 Working alongside volunteers from seven countries, the applied mathematics major at National Chung Hsin University in central Taiwan’s Taichung City spent three months at one of the organization’s four facilities. As well as entertaining the children with games and activities and assisting them in handling animals such as chickens and rabbits, the 20-year-old was also tasked with learning how to operate machinery that enhanced their limited mobility. He had to ensure wheelchair-bound children were not in pain when they were undergoing physiotherapy. “It was very challenging, but when I saw the smiles on their faces, I felt so happy and that all the effort was worthwhile,” he said. Data shows that more effort is needed to make youngsters aware of these kinds of overseas opportunities and what advantages they can bring. The MOE surveyed the some 160 higher education institutes in the country last year and found that about half have student bodies engaged in organizing aid work abroad. In an effort to foster a greater spirit of volunteerism among students, the administration is planning to encourage university officials to promote the YOPC on campuses.